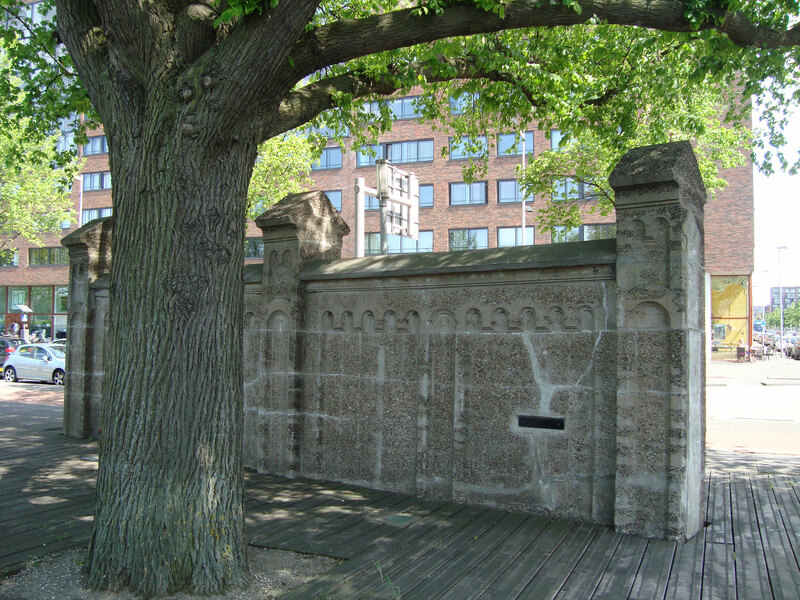 Rotterdam May 1940 Walk - De website van voetspoor! On 10 May 1940 the Third Reich invades the Netherlands. As part of ‘Operation Fall Gelb’ German armed forces need to capture The Hague, the capital of the Netherlands in all but name. 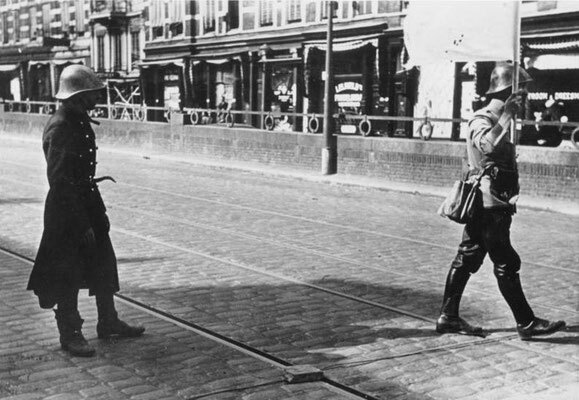 In the first major airborne operation of the Second World War Luftwaffe paratroopers or ‘fallschirmjaeger’ under command of general Kurt Student have to take the Dutch government hostage. 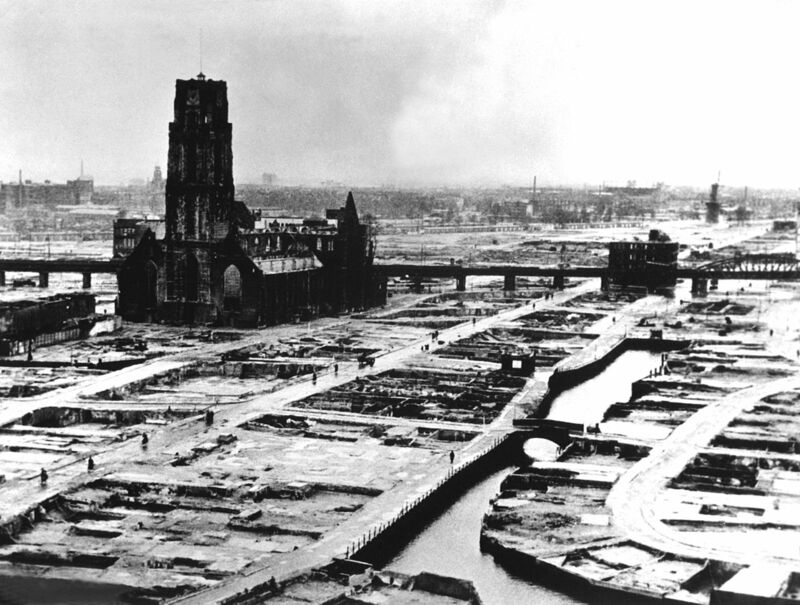 They also have to secure all the bridges leading from the southern Netherlands to The Hague for the main land force, the Wehrmacht’s 9th Armoured Division (Austrians). 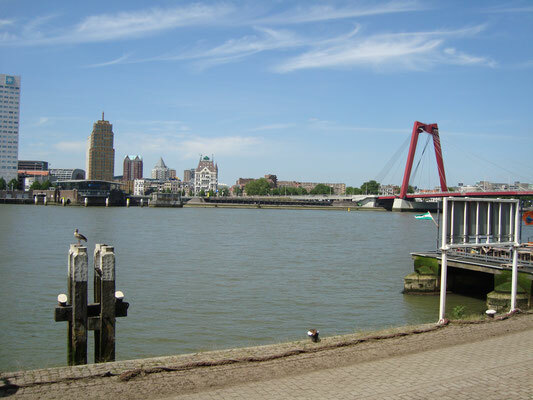 Part of this operation is securing the two Rotterdam Meuse-bridges, the last ones before The Hague. 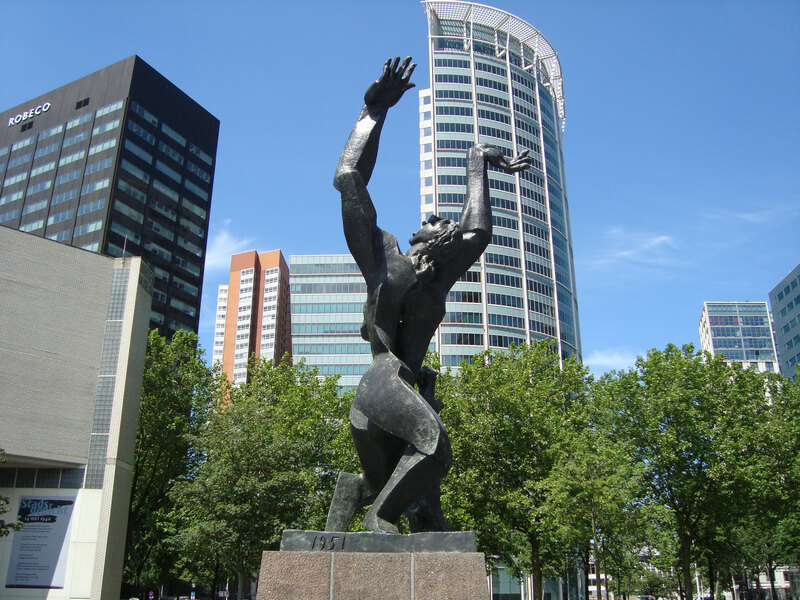 Because of unanticipated strong resistance by soldiers of the Dutch armed forces in Rotterdam the plan fails. The result is a limited but fierce urban battle with the river New Meuse as a frontline. 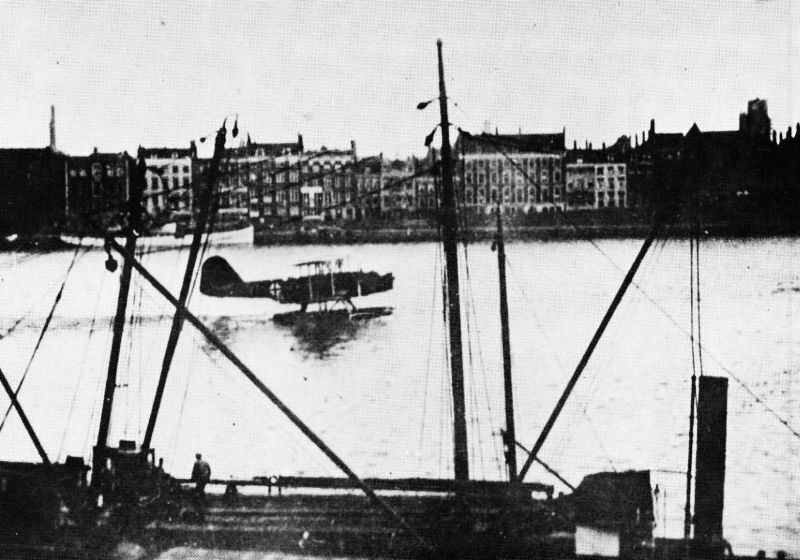 On 14 May the German generals request an aerial bombardment of Rotterdam to force the city into surrender. This eventually leads to the total destruction of the city’s centre. Walk with me, Edwin Ruis, along the front, in the footsteps of history and hear about the fight that took place in de May Days of 1940 and how it led to the Luftwaffe’s destruction of Rotterdam. Start: 13.00 hrs on a Friday, Saturday or Sunday. 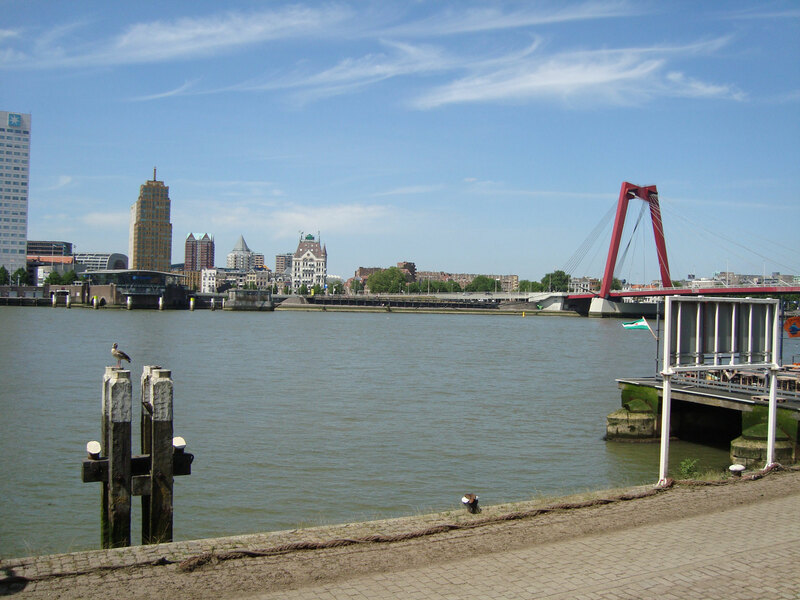 Included: your guide and a drink during the break in the Oude Haven. Necessary: healthy legs (OV-chipcard if you need to get back to your car or train). This English version is only available for group bookings. For more information please contact me here.